Conceived of and Founded Judicial Watch on July 29, 1994, and Later Freedom Watch in November 5, 2004. First to Uncover the Chinagate Clinton Bribery and National Security Scandals During the Clinton Administration. This Caused Congress to Enact Campaign Finance Legislation. Obtained a Court Ruling That President Bill Clinton Had Committed a Crime When He Illegally Released the White House Files of a Woman, Kathleen Willey, He Had Sexually Harassed in the Oval Office. 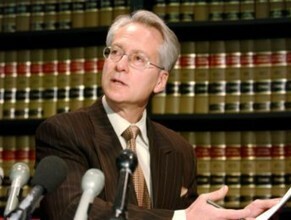 Klayman Is the Only Lawyer in American History to Have a Court Rule That a Sitting President Had Committed a Crime. Successfully Represented the Other Aggrieved Clinton Women Victims, Including Gennifer Flowers, Paula Jones, Juanita Broaddrick, and Dolly Kyle Browning, Keeping Them From Being Destroyed by The "War Room" of Hillary Clinton, James Carville and George Stephanopoulos as Well as the IRS and Private Detectives That Were Unleashed on Them With Threats of Physical Violence Against Them and Their Families, Such as Children. Instrumental in Having Congressman Bob Barr Introduce Articles of Impeachment Against Bill Clinton and Worked With the House Impeachment Managers and Its Counsel David Schippers to Ultimately Impeach Bill Clinton. Successfully Represented the Victims of Other Clinton Scandals, Such as Filegate, Travelgate, IRS Gate, Chinagate, Campaign Financegate, Ron Browngate, and Tens of Others. Enjoined Obama's National Security Agency for Illegal and Unconstitutional Surveillance on the American People. This Led to Congress's Enactment of the USA Freedom Act, Which Sought to Rein in Illegal Mass Surveillance Without Probable Cause That a Crime Was Being Committed or Communications With Terrorists. Filing Lawsuits and Taking Other Legal Actions for Klayman Client Sheriff Joe Arpaio and Succeeded in Having Lower Courts and Ultimately the Supreme Court to Invalidate Obama's Executive Order Granting Amnesty to Over 5 Million Illegal Aliens. Obtained a 2 Million Dollar Court Judgment Against Fidel Castro's Cuba for Shooting Down Brothers to the Rescue Planes and Killing 4 Brothers Attempting to Rescue Cubans Fleeing the Communist Island. Legally Intervened in Bush v. Gore Landmark Court Case in Florida Which Resulted in Court Ruling That President George W. Bush Won the 2000 Presidential Election. Freedom Watch does today what Judicial Watch used to do when Klayman was its chairman and general counsel. 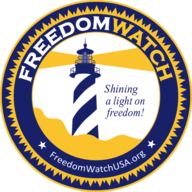 Freedom Watch is the People's Justice Department!